John Walton understands Genesis to be talking about an archetypal, functional view of creation, as opposed to a scientific, materialistic account of origins. Many Christians are opposed to calling Genesis One an allegory or poetry. These Christians warn that this threatens to change the clear message of the Bible, watering it down, and thus compromising the Gospel. On the other side, other Christians are troubled by efforts that interpret Genesis too literally. Does not an over-literal reading of Genesis One conflict with modern science, creating an unnecessary obstacle for a non-believer in coming to know Christ? John Walton, an Old Testament scholar at Wheaton College, takes both of these concerns seriously, and he suggests a third alternative. In the previous Veracity post about John Walton, you were introduced to Walton’s thesis that the first chapter of Genesis is an account of the functional order of the universe, NOT the material origins of the universe. It sounds a little odd, but some refer to John Walton’s perspective as an archetypal view of creation. Walton calls it a cosmic temple inauguration view. Yeah, just go ahead and try to explain that to your grandmother…. or Joe Friday. Okay, it does sound a little fancy and nerdy. But just exactly what is Dr. Walton driving at? Let us give Dr. Walton a little room here, shall we? Walton argues that the Genesis was written for us but not to us. It is as though we are reading someone else’s mail when we read Genesis. Walton contends that Bible students today need to understand Genesis from the perspective of those ancient Hebrews who first read the text. If we fail to do that, we risk distorting God’s Word. Whoa. Do I have your attention now? In the last Veracity post on this topic, we set out some of the primary points of John Walton’s thesis. But before doing a “deep-dive” it might be good to consider some of the objections critics have been making to his ideas. Then, as you look over Walton’s presentation, you can evaluate on your own whether he has made a good case or not. Even if you are not entirely convinced, you will be challenged to grow deeper in your faith and understanding of God’s Word. Are Christians who look for literal scientific revelation in Genesis abusing the Biblical text? John Walton, in The Lost World of Genesis One, says “Yes”, proposing a better way to interpret and honor the authority of Scripture based on pioneering research from the Ancient Near East. When the first few chapters of the Book of Genesis are talking about the origins of the universe, should we read it like a scientific textbook…. or something else? Many Christians today read the first part of Genesis assuming that God is supernaturally revealing to us the natural history of physical creation. This is a reasonable assumption. The Bible claims to be God’s Word, and we all want to know how it all got started. 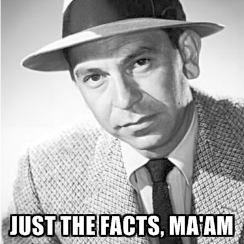 So it would appear that God is simply stepping in Himself and giving us “just the facts, ma’am,” as Joe Friday said on the classic 1960’s TV show, Dragnet. But what exactly does that mean? Before Adam gets created, there are no human eyewitnesses peering over God’s shoulder to see what He was doing. Even if you believe that Moses was the author of Genesis, you have to grapple with the reality that Moses was not hanging out in a tree in the Garden of Eden with a video camera or an iPhone camera app, recording the interaction between Adam, Eve and the Serpent. Joe Friday is wondering what to make of all this! So then, how does that historical information get from God to Moses, and then finally, to us? Unlike the Gospels that are built on eyewitness testimony, in early Genesis many wrestle with God’s meaning of things like “days” and try to figure out how it all fits in with modern science. Are they 24-hour periods of time, or long epochs of time? How do you get “light” on day one when the sun does not appear until day four? What about the Big Bang? But these are modern types of questions that today’s Bible readers bring to the text. Have we really taken the time to consider how the ancient Hebrew readers from several thousands of years ago understood the Genesis text? Centuries before NeoDarwinian genetics, the telescope, Google, and… we can not forget, Joe Friday… what did God’s people think when they originally read Genesis One? Joe Friday wants to interrogate Moses.. he might just have to settle for Wheaton College’s John Walton. Meet John Walton, professor of Old Testament at Wheaton College (uh, not the guy in this photo… you will see a photo of Walton later). 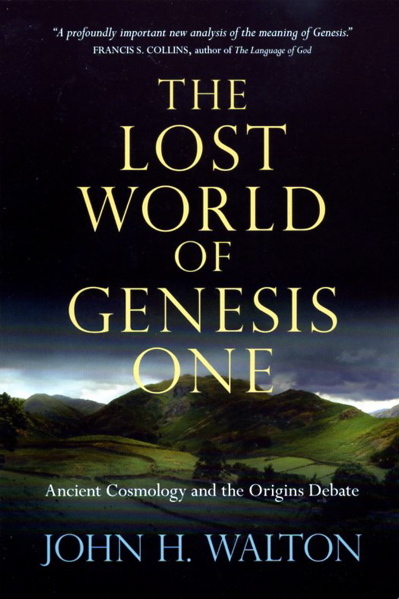 Walton argues in The Lost World of Genesis One that though Genesis was written for us, it was not written to us. It is a subtle distinction, but it emphasizes the reality that we must not pretend that Moses, or anyone else in the Old Testament era, originally wrote for a 21st century audience. Instead we must first understand the mindset of the ancient Hebrews before we try to apply the Truth of Genesis to modern-day concerns. To put it the way that a William and Mary chemistry professor and friend of mine would say it: Is Genesis talking about “Adam” or “atoms”? 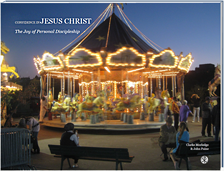 Early Christianity scholar, Candida Moss, of Notre Dame argues that Christians have overhyped the stories of martyrdom in the early church, having a negative impact on public discourse today in America. Is she right? When I was a high school student in the late 1970s, I helped to start a prayer group with some friends of mine during the lunch period. One of my teachers, who I knew was a Christian, offered his classroom during his lunch hour so that we could meet and pray together. It was only a handful of us, but we witnessed a number of remarkable things as a result of these prayer meetings. Within a few months our meetings were shut down by the public high school principal. Now, the principal was not an atheist zealot. He was actually rather sympathetic to what we were trying to do. Rather, he was just loathe to engage in any controversy, fearing that some atheist parent might call him up or write an angry letter about “separation of church and state.” So off we were sent back to the noisy cafeteria for our Christian fellowship. The whole thing seemed rather stupid to me. Students during the lunch hour could get a pass to go to the library and read a book. In the days before the Commonwealth of Virginia lowered the age for restricting the purchase of tobacco products, kids could go outside to the smoking area and enjoy their nicotine habit. So you could go to a quiet place and read a book, or you could smoke your way to lung cancer and early death, but you were not allowed to meet in an unused classroom to engage in Christian prayer. 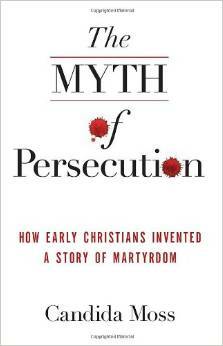 But was it persecution? Let me put it this way: The crackdown on our high school prayer sessions did not exactly exemplify the remarkable tradition of religious freedom that characterizes the best of the American experience. Our prayer meetings had been voluntary, student-led, and met in neutral space during the school day on a school-sanctioned break. But is it right to call its demise persecution? Well, it was inconvenient and annoying, but on the positive side having a prayer meeting shut down was sort of like a “badge of honor.” Merriam-Webster defines “persecute” as “to treat someone cruelly or unfairly especially because of race or religious or political beliefs,” so in some sense, interfering with a bunch of teenagers talking to God might qualify. But frankly, my lunchtime restriction was nothing compared to the life threatening treatment of Iraqi Christians fleeing for their lives for the past ten years. You have to put things in perspective. Nevertheless, a film released in the summer of 2014 plays on the theme of “persecution” in America. Is this something indicative of what is happening now, or is it a prophetic glimpse of what might eventually happen to Christians in America in the future? … Or is it just a bunch of nonsense? Religio Laici, or A Layman’s Faith. John Dryden’s radical 1682 poem comprises a warrant for personal discipleship. “For every man is building a several way; impotently conceited of his own model, and his own materials: reason is always striving, and always at a loss; and of necessity it must so come to pass, while it is exercised about that which is not its proper object. Let us be content at last, to know God, by his own methods; at least, so much of him, as he is pleased to reveal to us in the sacred Scriptures; to apprehend them to be the word of God, is all our reason has to do; for all beyond it is the work of faith, which is the seal of heaven impressed upon our human understanding. “Yet to such as are grounded in the true belief, those explanatory Creeds, the Nicene and this of Athanasius, might perhaps be spared: for what is supernatural will always be a mystery in spite of exposition: and for my own part the plain Apostles Creed, is most suitable to my weak understanding; as the simplest diet is the most easy of digestion. “But, by asserting the Scripture to be the canon of our faith, I have unavoidably created to myself two sorts of enemies: the papists indeed, more directly, because they have kept the Scripture from us, what they could; and have reserved to themselves a right of interpreting what they have delivered under the pretence of infallibility: and the fanatics more collaterally, because they have assumed what amounts to an infallibility in the private spirit: and have distorted those texts of Scripture, which are not necessary to salvation, to the damnable uses of sedition, disturbance, and destruction of the civil government. 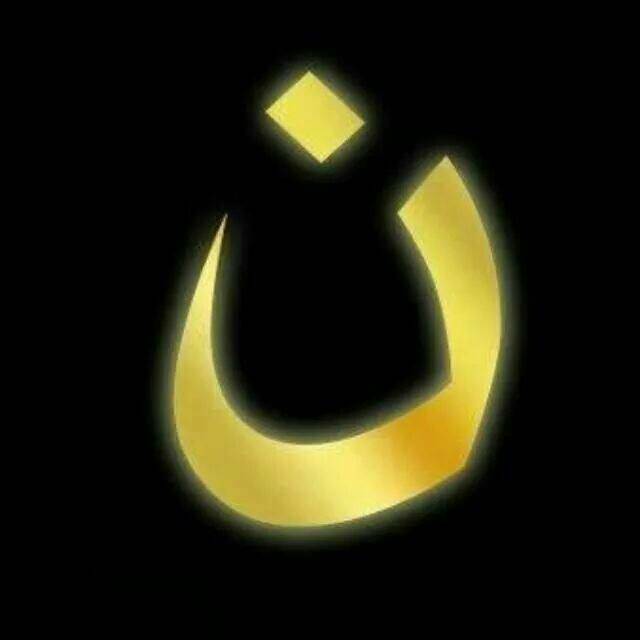 The Arabic letter “n” signifying the word “Nasrani ” from Surah 5:82 in the Koran, a word for a “Christian” or “Nazarene.” The sign is being painted on Iraqi homes to mark out where the Christians live. Let us face it: We simply do not know how good we have it in the United States when it comes to religious freedom. Just ask the Christians fleeing from Northern Iraq. My wife and I recently attended a family gathering where several people there affirmed having a Christian faith. We enjoyed a good time together, catching up with one another, having a lot of fun, but much of the experience seemed like such a stark contrast with what is going on in the rest of the world. We never once as a family took the time to thank God for all of the blessings that we have when compared to the suffering of believers across the globe, as with Christian families in Iraq.